The Autry National Center, located here in Los Angeles in Griffith Park across the street from the L.A. Zoo, is an internationally recognized museum and study center focusing on the exclusively on American West. It's one of the largest such museums in the world. 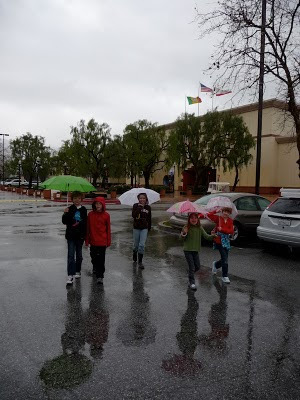 Yes, it does rain in California. It was a perfect afternoon to take my kids and their three cousins to explore the Autry. I liked the question posed at the entrance: "Is the West a place or a way of thinking?" Inside, the center of the museum has a huge three paneled mural covering the history of the West. The first panel covers the native peoples, the Spanish explorers and missionaries, and contact with Anglo-Americans. The next - and largest panel - covers the period from the California Gold Rush to the closing in the frontier around 1890. The third panel covers the perception of the West, from early painters and photographers to Hollywood's various versions of "the Western." So the museum covers both the actual history of the West and how it's been portrayed over the past 100+ years. Currently the museum has a extensive (and I found beautiful) collection of contemporary artwork on the West. Cameras - unfortunately - we not allowed anywhere inside the gallery. I took this from the lobby looking in with a zoom lens. That's OK, right? I can honestly say it was worth going to the Autry just to see these paintings. I've take my kids to art museums before, and they're usually bored after 5 minutes. They really like the artwork on display at the Autry, especially as the style emphasized realism. In several cases the paintings looked like photographs - which my kids loved. Elsewhere in the museum was other artwork, equally as impressive (and where it was OK to take photographs). This reminded me of a scene from "The Last of the Mohicans." Lots of landscapes, animals, scenes native peoples (American Indians). My apologizes for not getting the names of the artists or the paintings . . . but I had five kids in tow. As I said, the artwork alone was worth the visit. 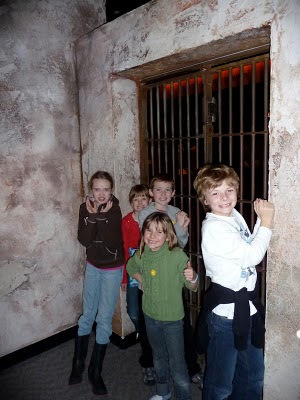 Of course, my kids had to see the "Family Discovery Center" downstairs. 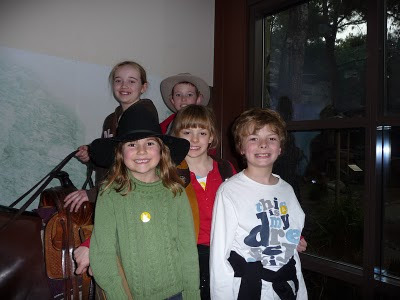 The Autry - including the staff - is very accommodating to both children and parents. 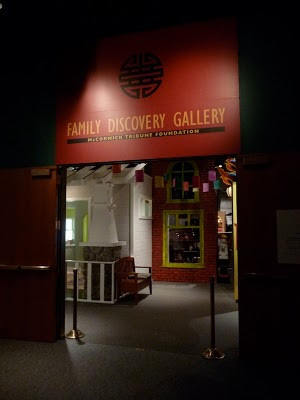 The family area has a special focus on the immigrant experience of a Chinese-American family. There were costumes the kids could dress up in. And a 1940's style Chinese restaurant to play in. They LOVED this place. There's a kitchen and tables and chairs - they call it Sigh-Fong's (from the book "Cricket in Times Square"). No trip to the Autry is complete without a visit to the Western jail. Nearby they have some of the actual firearms used in the actual "Gunfight at the OK Corral" and the sketch that Wyatt Earp made of the event. 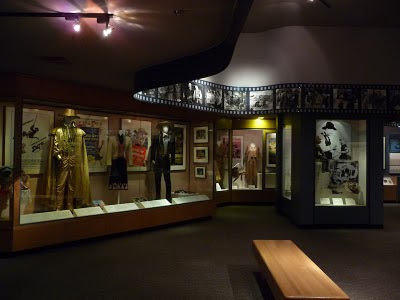 There is also an extensive section devoted to Hollywood's depiction of the West through movies and television. Very appropriate as the museum is located just a few miles from Universal, Paramount, Disney and Warner Brothers Studios. I could have spent hours here, but being there with five kids ages 7-11, that'll have to wait for another day. And I'll hold off on more serious reflection and commentary on "The West and Westerns" until then. As the Gene Autry, the singing cowboy use to say "happy trails to you . . .until we meet again." So glad to hear you had a good time at the museum - thanks for sharing your experience! Let us know next time you want to come by (with or without the 5 kids! ), we'd love to have you as our guest. The Autry really is a hidden treasure here in Los Angeles - and fast becoming our favorite family museum.